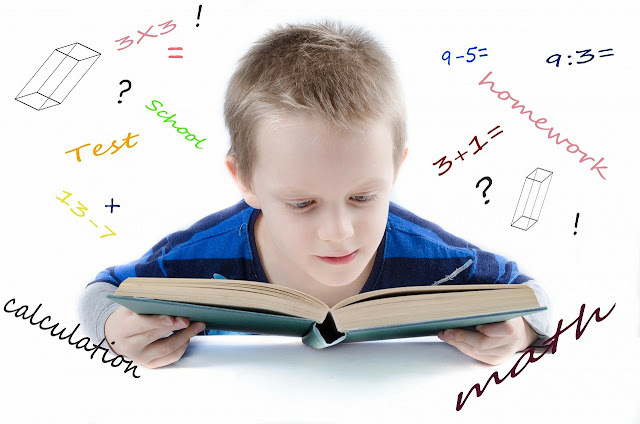 Maths is a subject which requires a lot of practice in order to be familiar with it. 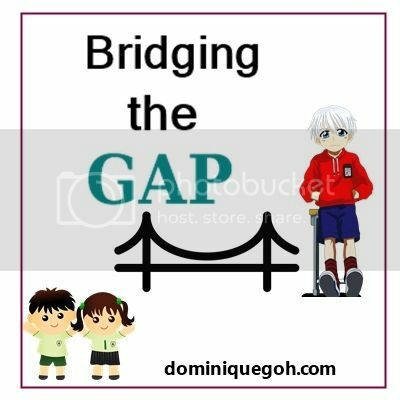 There are many different concepts which one need to master and formulas to memorise in order to complete the array of questions within the given time. In the last post I gave an overview of the components tested in a Math’s paper. In this post I will be showing how Long Answer Questions can be solved using different methods. **These are actual questions which are taken from the homework worksheets that Monkey boy has brought home and I have worked through together with him. My first inclination was to see if it was possible to draw a model to analyse the question. After pondering on it for a while both of us found it more complicated to explain if we drew a model for it and eliminated it from the ” potential way to solve the question” list. We decided to use the Guess/List and check method as there were two different unknowns which had to be identified. 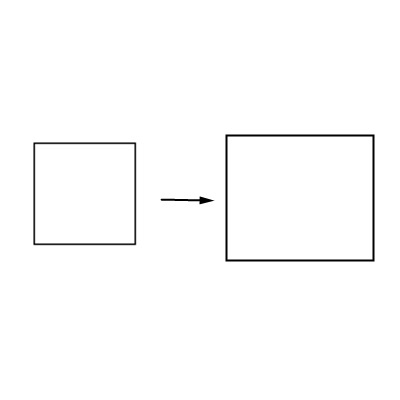 We worked through the possible chance of what the two different lengths of the rectangle could be given ( X and Y) given that the square was of a certain length for each side. As shown above I assumed that each side of the square was 10cm so the area of the square would be 100 cm2. Using the projections that ” one side had to be decreased by 25%” the possibility of 1 side of the rectangle would be 10-2 = 8 cm. Following through on the part ” increase the length of the other side by 2cm” I added 2 to 10 to get 12cm. However when you multiplied both sides to find the area of the rectangle I got 8 x 12 = 94 cm2. 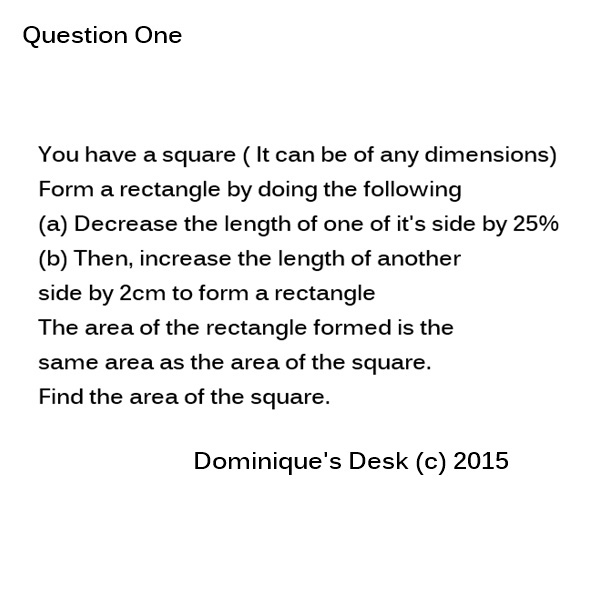 This is not correct as there has been a change in the total area from 100cm2. to 94 cm2. I slowly moved down the list of possible numbers till I got to 6 cm as the length of the side of the square and that the area of the square was equal to the area of the rectangle. That was how we found the answer for this particular question. If you are anything like me you too may draw a blank after reading through the whole question. I had to re-read through it a couple of times just to process what the questions was asking. I found the question really complicated. I seriously don’t remember having to attempt such complex questions when I was in Primary 5 back then. The difficultly level of questions attempted in Maths has certainly increased a lot!! To solve this sum we had to use the Working backward method. 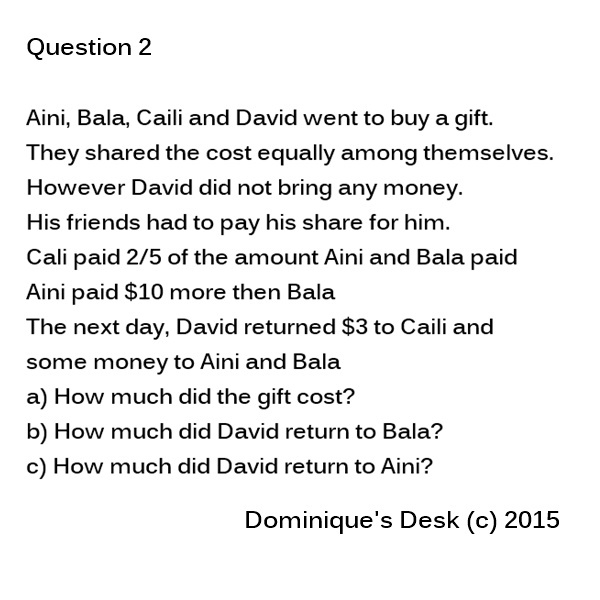 c) David returns $14 to Aini. In the next post I will go through the remaining two methods- Modelling and Looking at a pattern to show how they can be applied in problem solving. I still find math confusing. I think the time I enjoyed math the most was when my professor put everything into words. After that, it was a struggle again. Wow! This Math series will be of great help. Will bookmark this because for sure I can use this in the near future. I hate Math honestly. Though some math problems are easy but in terms of problem solving and logic I must admit I’m really bad in this subject.